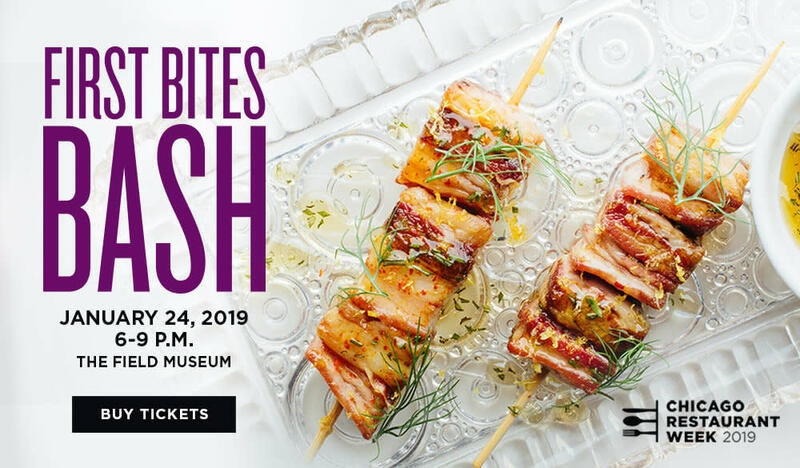 Purchase Your Tickets to First Bites Bash 2019! Welcome to 2019! As hopefully many of you read or heard, recently Mayor Emanuel announced top line visitor data for 2018 – Chicago is projected to have welcomed 57.6 million visitors this past year. This represents a 4.3% increase over the prior year and of course, a new record. It’s not only encouraging to see growth, but to see the pace of growth increase. The previous year, visitor volume grew 2.7%, so to see the pace improve is a reflection of the momentum that Chicago is enjoying and the growing impact the tourism, meetings and events industry generate in our community. Growth was also achieved in the convention sales results in 2018 as Choose Chicago and our incredible partners at McCormick Place along with participating host hotels announced that 60 new major conventions have committed to meet in Chicago in future years. That’s in addition to confirming 2,301 smaller “self-contained in hotel” future meetings. In all, these bookings represent more than 2.6 million future room-nights, which are projected to be generated from an additional 4 million delegates. These are future delegates who will fully experience our city and our partners as well as generate significant economic impact for our community. The projected growth in 2018 was also reflected in major meetings and trade shows hosted in Chicago. Of the 50 largest events convening at McCormick Place in 2018, 40% (20 conventions/shows) broke either attendance or exhibitor participation records, with 15 of these meetings setting new all-time attendance records, including 11 setting new exhibition-space sales records and 8 that reported record-breaking numbers of exhibitors. Of the 57.6 million visitors projected for 2018, over 55% are overnight visitors. It’s also encouraging to see that hotel performance data, released by Smith Travel Research (the majority of our hotel partners participate in this reporting mechanism), reflect a similar strong uptick in growth with room demand (Rooms Consumed) up 4.3% for the 2018 calendar year. 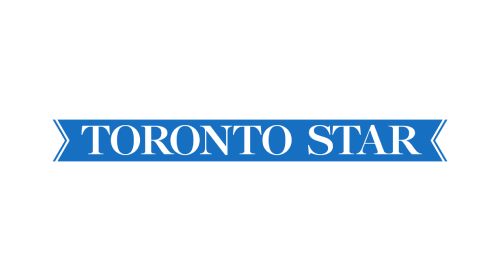 The overall annual occupancy rate in 2018 was 75.4%. The growth in demand helped fuel an increase in the average daily room rate of 4.6%, resulting in a compounded growth of 9.1% in hotel revenue. With this success and growth, Chicago hotels generated a record $140 million in city/county hotel tax revenues, resulting in an additional $11.7 million generated in tax collections to support local city/county services. Speaking of economic impact – this same growth and success generated by our hotel partners generated an additional $12.9 million in state hotels taxes to support state programs and services. There was an important increase in international travelers to Chicago in 2018. Airline Passenger Information System (APIS) data collected from arriving international non-stop flights to Chicago for the first 11 months of the year show an increase of 3.9%. This increase was led by growth in the number of passport holders from Brazil (up 16.2%), United Kingdom (up 14.1%), Italy (up 10.9%), South Korea (up 9.2%), Mexico (up 7.4%), Canada (up 2.5%) and China (up 2.1%). While every international passport holder landing in Chicago from one of these direct flights is Chicago-bound – a significant majority are coupled with additional international arrivals landing via connecting flights from places like New York, Miami, Houston, LA or San Francisco. So to see a growth of 3.9% is encouraging and consistent with other projected trends. It was also good to see that through 11 months, there is growth in nine of our 14 top international markets. At this same time a year ago, there were declines in seven of the 14. Growth fuels growth, as eight new hotels opened in Chicago in 2018 and another eight new hotels are scheduled to open in 2019. So we simply have to keep growing the pie – but of course, this means more jobs, more sales and occupancy taxes generated and more amazing visitor stories waiting to be told in and about Chicago. Thank you to each of our incredible partners. Choose Chicago proudly ended our year with 1,552 partner members – a new record. Thanks to their and your support – member dues surpassed the budgeted goal of $2 million ($2,042,213 in dues to be exact). Thanks to our many great corporate and strategic sponsors, we achieved the annual goal and surpassed $1.2 million. Our great sponsors and partners that contribute to and help make up the Chicago Sports Commission also helped the Commission exceed its $500,000 goal. This private revenue coupled with the incredible financial support Choose Chicago receives from the State of Illinois, the city of Chicago, the city’s Department of Cultural Affairs and Special Events, the Chicago Department of Aviation and MPEA/McCormick Place provided Choose Chicago with the financial resources to help achieve these great results. Thank you again for all you and your colleagues have done to support and collaborate with Choose Chicago. Here’s to another successful year ahead – it’s never been more important and impactful. Speaking of convening, many of you have already registered to participate in the upcoming Illinois Governor’s Conference on Travel & Tourism (February 4-6) hosted at Chicago’s Palmer House Hilton. Join us for the official kick-off event to Chicago Restaurant Week on Thursday, January 24 at the Field Museum. Indulge in sweet and savory tastings from more than 70 of your favorite Chicago Chefs. First Bites Bash is the official kick-off event for the 12th annual Chicago Restaurant Week, produced by Choose Chicago. Join us inside the Field Museum for savory and sweet food tastings from more than 70 of Chicago&apos;s most celebrated chefs and restaurants. Toast to the city&apos;s culinary scene with our beer, wine, and spirit sponsors. Joe Flamm, Executive Chef of Chicago’s Michelin-starred Spiaggia and Café Spiaggia and winner of Bravo&apos;s Top Chef Season 15, will serve as Host Chef of this year&apos;s event. He’ll be joined by Host Mixologist Jarmel Doss, assistant bar director of The Aviary and winner of the first Chicago STARS Mixology competition. Join Stella Artois at TAO for a First Bites Bash After Party! Attending First Bites Bash? Keep the party going at TAO with exclusive entertainment and specials provided by Stella Artois. Your First Bites Bash wristband will grant you access to TAO to kick off Chicago Restaurant Week. 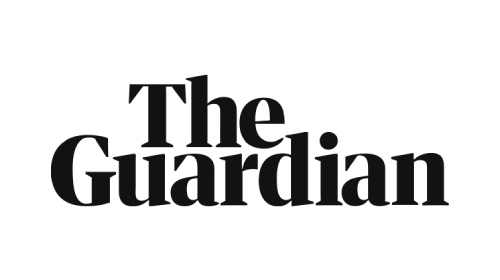 Attend IEG’s 36th Annual Conference and join more than 1,200 of the biggest brands, smartest rightsholders and content and media leaders from around the globe. Your participation at this event will inspire and enable you to see things differently while emboldening you to challenge the norms that are boxing in your business. 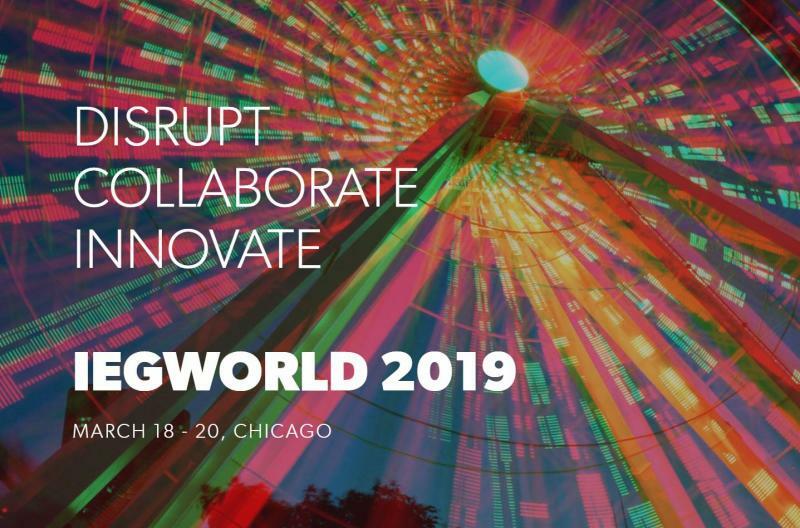 Through the thought leadership we provide and the people you’ll meet – IEGWorld2019 can change your world. The United States was founded upon documents famous for both content and style. Chicago’s American Writers Museum honors both as the first national museum in the United States dedicated to honoring American writers and exploring their influence on the nation’s history, identity and culture. At a glance percentage calculations for record-breaking conventions. 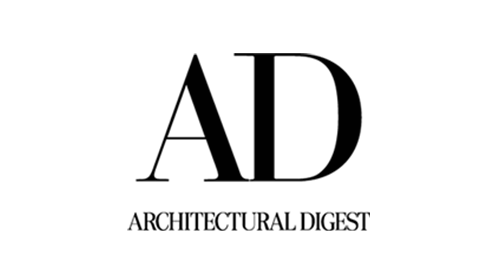 Record-breaking exhibit space sold – over 1,250,000 sq. ft. Note: The public shows listed below meet the 2,000 PRN and above criteria, but are not included in the conventions tallied above. NOTE: Five (5) conventions under 2,000 PRN also enjoyed record-breaking attendance. 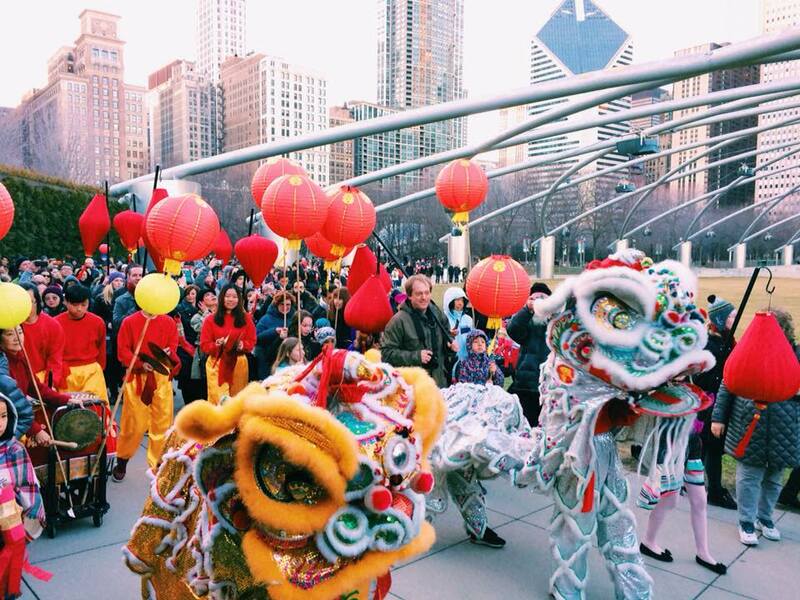 Visit choosechicago.com/chinesenewyear for a full listing of all Chinese New Year activities in the city. The signature event of the Chinese New Year Celebration features two performance troupes from China. Happy New Year from CSC! The year has gotten off to a quick start, with the 2019 United Soccer Coaches Convention just wrapping up last week at McCormick Place. United Soccer Coaches is the largest gathering of soccer in North America, and 2019 was the first year the convention has come to Chicago. CSC hosted the 2019 Winter Volleyball Championships at McCormick Place January 19-21, and will welcome the 2019 Chicago Style Women’s Gymnastics Meet back to Navy Pier February 8-10. Basketball will take over the city in March, with the 2019 BIG EAST Women’s Basketball Tournament March 9-12 at Wintrust Arena, the 2019 Big Ten Men’s Basketball Tournament March 13-17 at the United Center, and the 2019 NCAA DI Women’s Basketball - Chicago Regional March 30 - April 1 at Wintrust Arena. Check out the rest of the 2019 event schedule, and stay up to date by following us on Twitter, Instagram and Facebook at @ChiSportsComm. We hope to see you at some of our events in 2019! 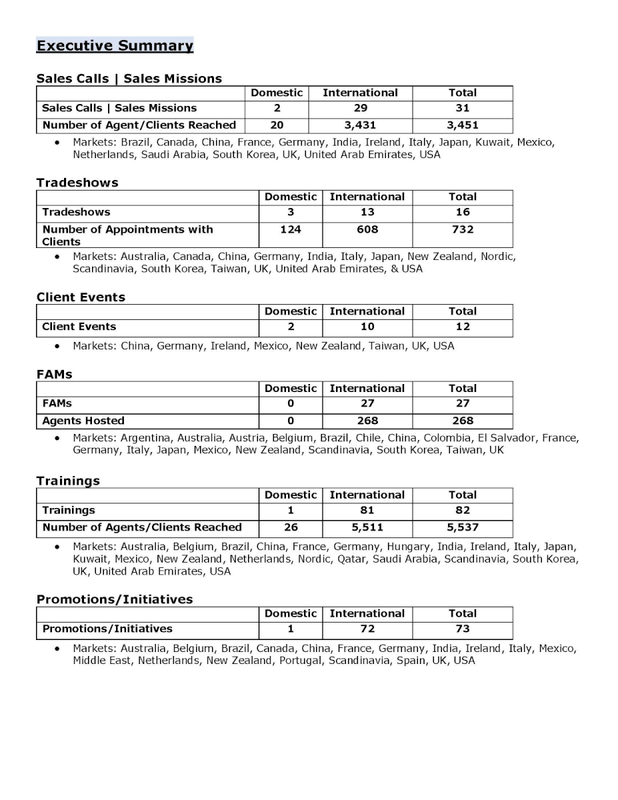 Choose Chicago’s Media Relations team hosted and/or supported more than 54 members of the media on individual media visits to Chicago in October 2018. The team traveled to New York City to receive Conde Nast Traveler’s Readers’ Choice Award for Best Big City in the U.S (second year in a row!). Join us for the official kick-off event to Chicago Restaurant Week on Thursday, January 24.